Enjoy the foodie fun in Valencia even without the meat! In the past, Spain was infamous for its lack of vegetarian options. Although some dishes were listed as vegetariano, they often included hidden tuna or jamón. Luckily, however, times are changing. 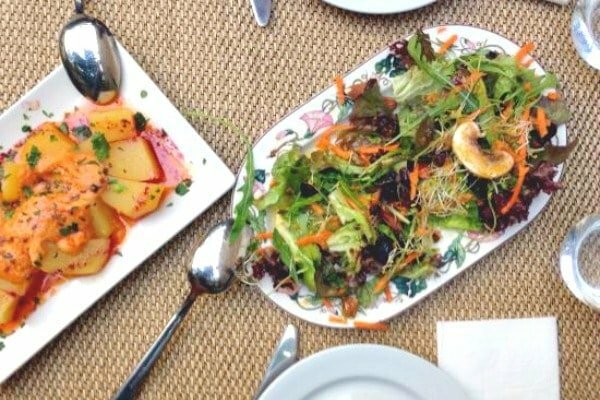 Many restaurants all over the Iberian peninsula are finally including more and more options for customers who don’t eat meat. Because of its status as Spain’s third-largest city, Valencia is full of great vegetarian options. And if you’re a vegetarian looking to tapear, no worries. 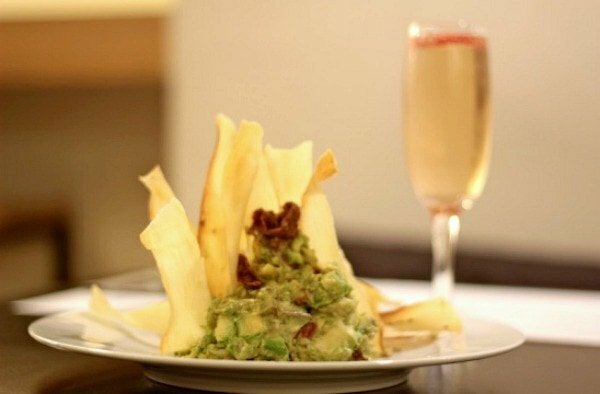 You won’t be sitting by with just a glass of wine while your dining companions eat tapas. It’s easier than ever to enjoy this beloved Spanish culinary tradition without the meat! If you’re looking for vegetarian tapas in Valencia, here are some places to get you started. 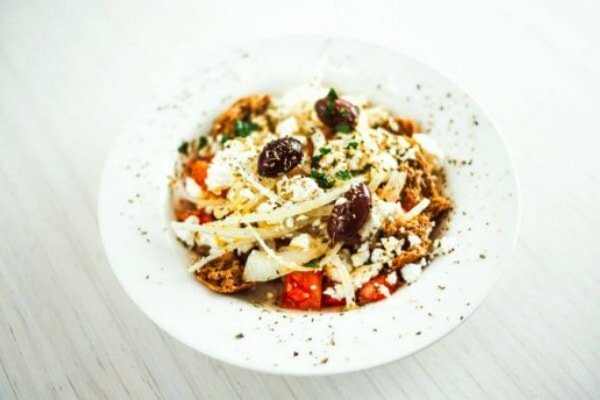 Experience a wonderful fusion of Mediterranean flavors at Kuzina! This vibrant Greek restaurant keeps the Spanish tradition of tapas alive. Options range from vine leaves stuffed with aromatic rice, to spanakopita (a savory pastry filled with spinach and cheese), to zucchini and feta croquettes. Kuzina offers some of the most unique vegetarian tapas in Valencia. Les Maduixes has the honor of being the oldest vegetarian restaurant in Valencia! It has delighted customers with its meatless menu ever since opening its doors in 1896. 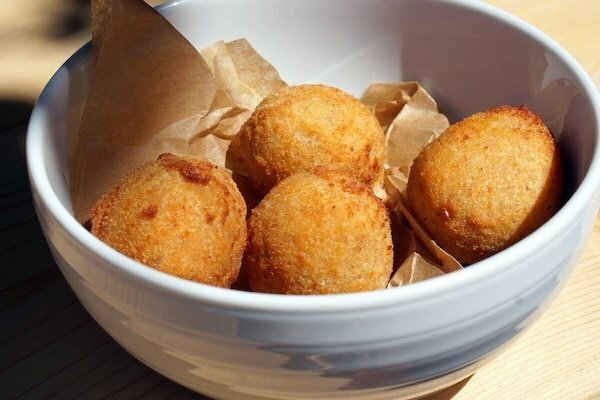 There is a good variety of vegetarian tapas and entrantes, such as tofu and curry croquetas and creamy vegetable patés. They also strive to use healthy alternatives whenever possible, such as natural sweeteners. 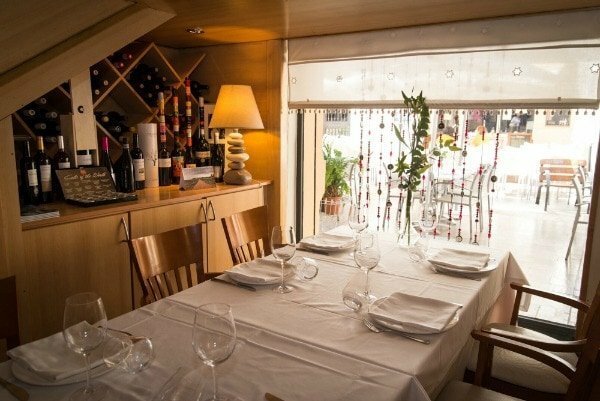 This charming restaurant is near the towers that lead into Valencia’s old town. 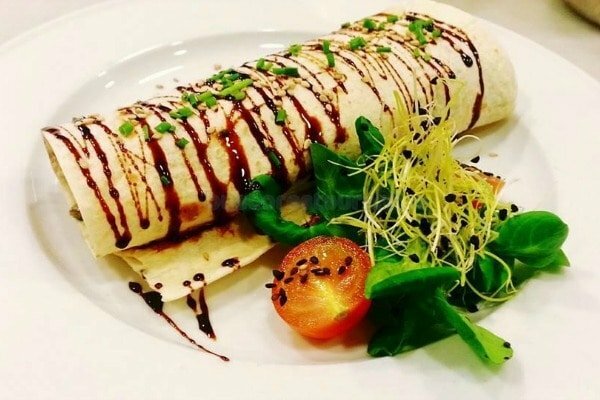 It offers some of the best quality vegetarian tapas in Valencia. The tasty options range from potatoes with red pepper romesco sauce and escalivada (a grilled vegetable dish) with sesame seeds and thyme. The best part? Ana Eva prides itself on using fresh seasonal produce, grown in their own garden. Located in the trendy Ruzafa district, Copenhagen is sure to delight meat eaters in addition to vegetarians. They offer some of the best vegetarian tapas in Valencia, from classic Spanish patatas bravas to mini veggie burgers. Its minimalistic, Scandinavian-style interior is the perfect place to relax. Local favorite Restaurante Navarro is a family tradition come to life. Since 1951, three generations have created delicious Spanish and Valencian food. The tapas menu is extensive and includes several tasty meatless options. In addition to choices like mushroom croquettes, and eggplant and Parmesan lasagna with pumpkin sauce, they also offer grilled fresh vegetables from Valencia’s markets. Want more tapas in addition to these yummy options? Join us on a vegetarian food tour and experience the best! 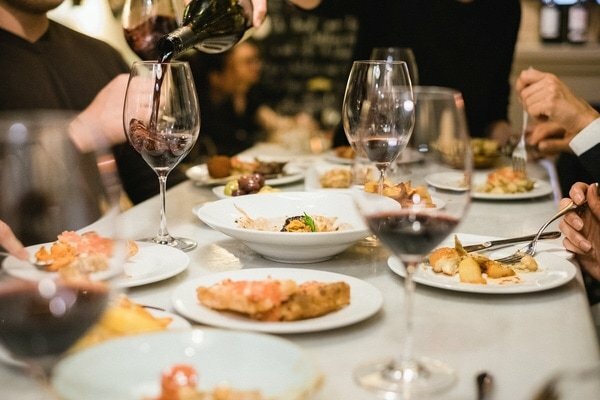 Eat your way through Valencia like a local, while learning about the vibrant history and culture of this great city along the way. See you there!